An instrument is available to certify fibre optic cable connections through metering optical loss. 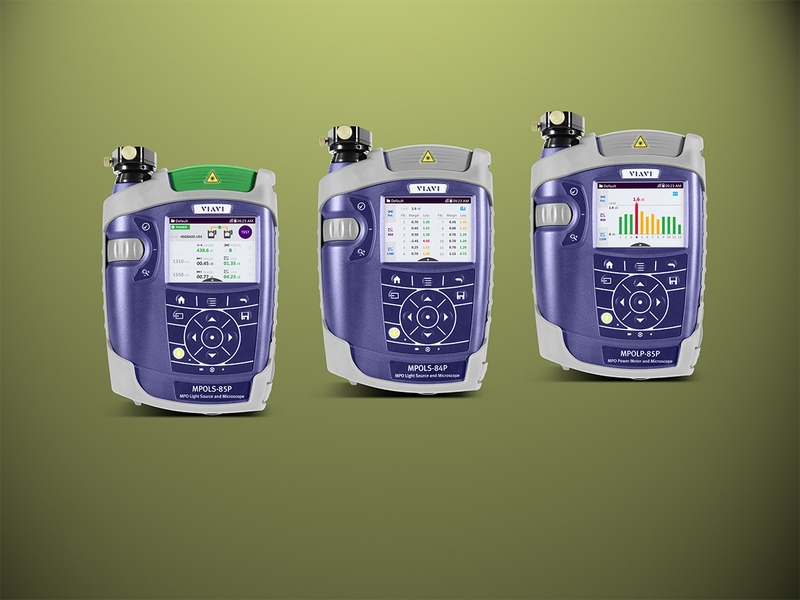 Viavi is setting new standards by introducing the industry’s first dedicated optical loss test set for Multi-Fibre Push-on (MPO) fibre connections. The device distributed needs less than six seconds to measure fibre length, optical loss and polarity of all twelve fibres in a standard MPO connection. It also enables visual inspection of the fibre end faces. All the results are shown on a user-friendly 3.5″ touchscreen. The colour-coded pass/ fail display lets the user know if all the values are within the permitted limits. Customer specifications, test wavelength, and reserve are also displayed to provide in-depth analysis. If required, the MPOLx also generates a detailed certification report. An MPOLx test set consists of two devices, each with its own light source, power meter and connector microscope. Measurements can be conducted from both sides of the fibre with the results also being displayed on both devices. Thus, the technician can do his work most efficiently without constantly moving between both measurement points. So far, MPO multi-fibre connectors have mainly been used to bundle transmissions inside a data centre. Adapting to the ever-growing demand, many companies and data centers now use bandwidths of 40 to 100 Gbit/s to connect terminals. It goes without saying that optical losses in these kinds of fibre connections must also meet all specifications. These Tier 1 certifications can be conducted fast and with outstanding precision using Viavi’s new MPOLx.